Over the years, there have been what appear to be many overnight success stories in the direct sales and party plan industry. Unfortunately, it may not be as easy as it appears. Even those direct sales companies that have achieved national or even worldwide recognition never happened overnight, and usually, they invested massive amounts of time and money. Entering into the direct sales and party plan industry requires certain steps to assure success. A ground floor opportunity from the distributors' perspective is a dream come true, but only if the ground does not fall out from under their feet. A new direct sales company should get all their ducks in a row and feel out the waters before launching on the grand scale! Normally, those considering this path fall into two categories. The first is a company that is considering moving an existing business in a new direction by tapping into the direct sales industry. The second is an individual who wishes to launch her own product line into the party plan business model and is often a distributor for an existing company. An existing company that is already successful using a conventional business model, has decidedly better chances of achieving success in the direct sales arena than the totally new entrepreneur with her own product. A company with a proven product, cash flow, corporate branding, and a support structure in place will be able to launch into a party plan with minimum efforts. The first step for this company is to hire a direct sales expert as a business consultant, to educate the corporate level on the ins and outs of the industry. Pick an in-house executive to be your lead in the project and the point person working with the party plan expert adviser. While you are an experienced business group, direct sales is very different than anything you have ever done before, and you will have a lot to learn. It is important that you find an adviser whom you trust and who is forthcoming with information and education for you and your team. You never know what you don't know! 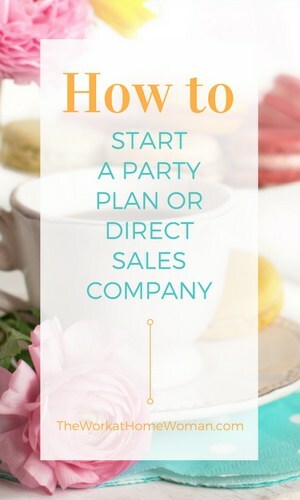 Those of you who have your own product and wish to launch a party plan business – most likely you are, or have been in the industry already – so your challenges will be different. Product fulfillment, general business licensing, and distribution are challenges you will need to address before your launch, but by far the biggest challenge for you will be cash flow. It is strongly recommended that you consult with an MLM lawyer and accountant prior to your launch. Assuming that you have your product, fulfillment, an expert direct sales adviser, and you have investigated the legal aspects of business in the state or country where you reside, there are certain steps that need to be covered. Regardless of which of the above situations you are in, the most important thing to keep in mind is that you must LOOK good before you bring in distributors or consultants. Even your trial – test the waters launch – should not be rolled out without setting yourself up to look like a legitimate direct sales company. Without the professional image of a company that is legitimate and solid – whether you are or not – the launch will fail. You MUST invest the time and money into creating your brand that is specific to party plan so that your launch trial is an effective test. Here are the necessary and minimum setup requirements needed before you launch. A comprehensive set of both online and offline policy guidelines needs to be created. These will protect and establish expectations for both the company and the distributors. Even companies who have a limited product line will need a full-color professionally created product flyer or catalog. The compensation plan options are many. Direct sales is a multilevel system of payment that includes far more than just sales commissions. An expert direct sales startup adviser will be able to educate you on the many types of comp plans, and an MLM accountant will crunch the numbers for you. You do not necessarily need everything figured out before the test launch, but at a minimum, you will need the basic sales commissions, host compensation, recruiting incentives, and team development to be included. In direct sales when a distributor joins your company, they pay a small price for a big product value with the commitment to perform certain activities. What goes in your kit? What does the distributor invest? What is their commitment to getting that really good deal? The kit should include all the products necessary to demonstrate their new business effectively, including products, essential business supplies, and training materials. 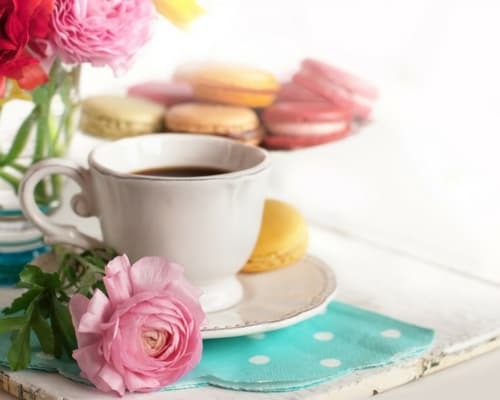 Generally, they would receive enough of everything: Catalogs, flyers, samples, and order forms for their first six parties with no further investments. Three-color professionally designed flyers to include, but not limited to party invitations, opportunity flyer, host benefit flyer, and startup training manual. This is often the stumbling block for the new party plan company. It is often cost prohibitive for even the most financially solid company. Even if you already have a professional looking website, it is essential that you get a direct sales specific software provider to set up your party plan division replicated websites. If you skip this step due to the cost, you will regret it. Most likely the lack of a well done replicated website for your field will be the cause of your downfall. Your expert consultant can help you with finding a company that will be the most affordable and that matches the needs of your compensation plan. Once you set up those basics, it is time to test the party plan market for your product line. At this point, you will start bringing in your field distributors. Find 10-20 distributors to be your launch team. These reps will be your home office directs, your ears in the field, and the team that assists in fine tuning your direct sales division before you have your official launch. Usually, the launch team will have a few special perks long term, and always have that direct privilege no matter how big you get, so pick your launch team distributors with care. Your business adviser can work with you to anticipate issues and solve problems, and your founding team will give you feedback from the field and consumers. Part of their ‘package' is an understanding that things will change and that they are part of a bigger picture so that they can expect issues and be part of the solution. After 8-12 months, a total evaluation will give you a better understanding of what needs to be updated or modified before going mainstream. The process of launching a direct sales company is both an educational process and a planning exercise. The test launch will allow you to solve problems in anticipation of the public launch and will affect your business for the long term. All the decisions you make before and during your initial launch will be part of your company culture going forward. Are you interested in starting a direct sales business? What questions do you have about the startup process? We would love to hear from you! Deb Bixler is the leading authority in the party plan business model. Visit her website to learn more about how to start a direct sales company. An expert party plan adviser will make your new party plan company the next direct sales success story! This is an amazing idea of starting your own direct sales business. I’ve always wandered how these types of companies get started. I just started with Beachbody 8 months ago and my whole mindset towards direct sales has changed. I used to be someone skeptical about anything direct and mlm in their names. But know I love them. I think these companies really provide quality products. They just have a different supply chain from a big box retailer. If you want to get into direct sales starting a company from scratch is awesome! Go for it!